Due to their deteriorating abilities, seniors’ well-being tends to be at risk. They become more prone to threats of accidents and other health issues. No matter how much independent they want to be, there are times wherein they need assistance. Look out for these warning signs that indicate that your loved ones may need non-medical care. Have you noticed some changes in their appearance? Perhaps they have gained or shed off some pounds. Either way, these may imply that they are not getting their body’s needed nutrition. Take note that weight gain isn’t necessarily a good thing, especially for seniors with a sedentary lifestyle. On the other hand, weight loss could be a sign of malnutrition. Are your loved ones not able to do proper self-care? Do they struggle in taking a bath on their own? With their limited mobility, it’s quite understandable why they aren’t able to care for themselves. The good news is, they could already acquire personal care services in Texas to help them in maintaining their personal hygiene. Have your loved ones forgotten to take another dose of their medication? Did they miss another doctor’s appointment? Forgetfulness is one of the biggest problems that most elderly people struggle with. However, this is not a normal part of aging and could even lead to some serious cognitive problems. Have you noticed the above mentioned signs in your loved ones? 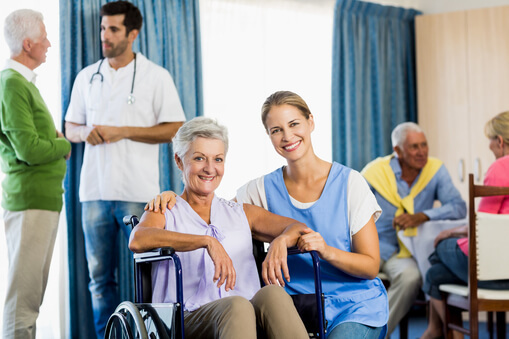 If so, it’s best to have the assistance of a Non-Medical Home Care provider, such as Healing Through Caring Homecare LLC, to be your partner in caring for your loved ones. This entry was posted in Homecare and tagged Caregiver Assistance, Non-medical Care, Personal Care Services. Bookmark the permalink.